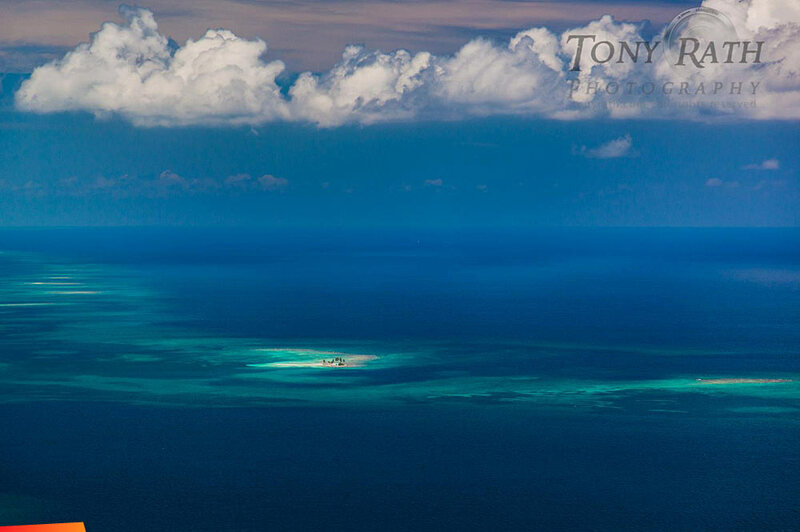 Many Belizeans should know this Caye, but some may not recognize it from this altitude; all should realize just how beautiful it is sitting on top of the Belize Barrier Reef. I recently was lucky enough to have an assignment here for a Japanese TV station, and it was great to see a group of happy - I should say ecstatic - Belize City folks enjoying the sun, water and good food. A tiny remote island off the Caribbean shores of Belize, the natural beauty of Goff’s Caye alone will leave your soul singing, and not just because of its guitar-shaped aerial overview. Just a short trip out from Belize City, the uninhibited islet is peppered with coconut palms and lush green scenery overlooking the sparkling sea which sets the stage of the lost island everyone dreams about getting stranded on.